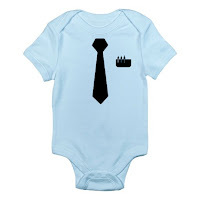 As a fan of CafePress, I post their sales whenever there is something worthwhile. Today is worthwhile, as they are tacking on an additional 30% OFF any order through midnight. Just add code PLUS 30 at checkout. This site is the place to go for custom-made shirts and gifts that you can't get anywhere else. They also have their own witty and poignant stickers, cups, bags, phone cases, and other accessories. Why be funny when you can wear funny? Wow, I should write that down somewhere. That was gold. Click here to go to CafePress and to shop. Remember to add code PLUS30 at checkout.